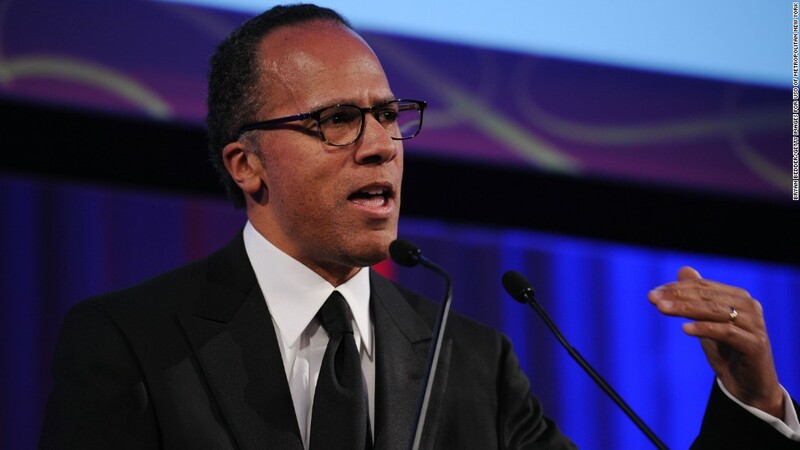 New "NBC Nightly News" anchor Lester Holt takes his job "extremely seriously" and is undaunted by the controversy surrounding Brian Williams' suspension, his son Stefan Holt said Sunday. "Let's face this: I don't think anyone would have wanted to get a job under these circumstances," Stefan said. "You know, a lot of eyeballs were on this and a lot of questions were surrounding this as well. But at the end of the day, I think this is a chance for my dad to really shine in this role." Lester Holt was named the permanent anchor of the "Nightly News" on Thursday, four months after he started to fill in for Williams amid a controversy about Williams' storytelling exaggerations. Holt is the first solo black anchor of a broadcast network's flagship nightly newscast. Stefan, a morning anchor for NBC's station in Chicago, said he and his father are aware of the historical significance. "Looking back at history, this is a big moment," Stefan said. "But I would say that none of us really define our careers just by race." He continued, "As a news division, you are not defined by one anchor or one reporter. If you look at NBC News, it's a really diverse team. I'm glad my dad's a part of that diversity; I'm glad to be a part of that, and that we can bring that to homes and families all across the country." Stefan spoke on CNN's "Reliable Sources" a few hours after returning from a family vacation. Lester Holt will be back on "Nightly News" on Monday, and NBC is using it as a re-introductory moment by promoting Holt as the new face of the program. On Sunday morning, he officially signed off of "Weekend Today," the morning show he has co-hosted since 2003. Holt has two sons, Stefan and Cameron. Stefan, 28, said he picked up his father's passions for journalism, aviation, and music from a young age. Both men play the bass, for example. "It's just been a real joy, as a son, to watch his career go in this exciting new direction," he said.